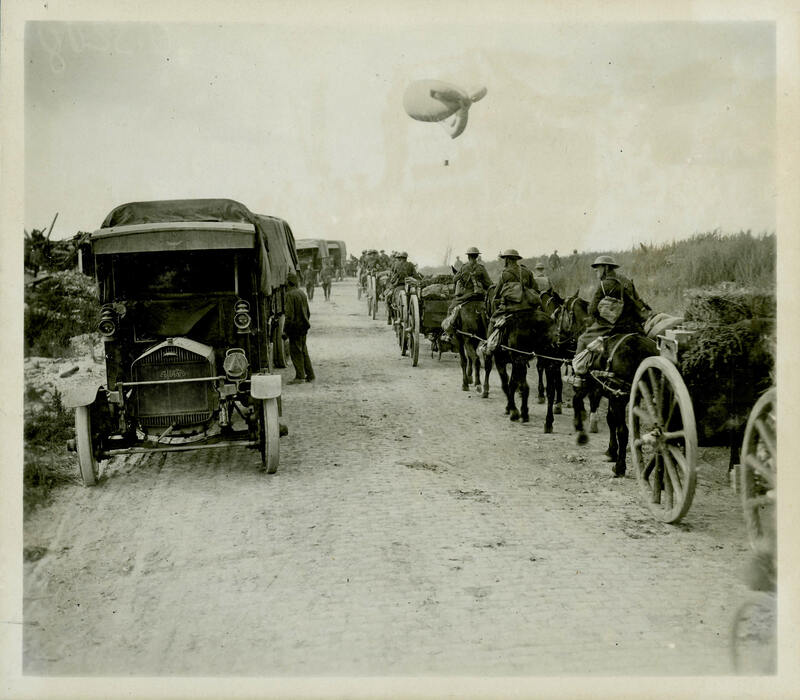 Canadian artillery on the move with an observation balloon in the background. Observation balloons, with a few spotters, were put up several hundred metres into the sky to help direct artillery fire or to report on enemy movements or positions. The gas-filled balloons, situated behind the lines and usually protected by anti-aircraft and machine-guns, were enticing targets for enemy fighters using incendiary bullets. Unlike Allied flyers, balloon observers were issued parachutes.